Nomi Bachar is a human potential expert, keynote speaker, author and mentor. She is a trained psychotherapist and has been guiding individuals and organizations for 27 years. Nomi is the founder and director of White Cedar Institute for Expanded Living LLC, and the creator of the highly acclaimed method and program titled, Gates of Power®. Nomi’s keynotes, presentations, and trainings help Leaders shift into an optimal mindset for success. She helps individuals and organizations achieve high levels of performance and fulfillment in their personal and professional lives. With her guidance Leaders become more expressive, creative and effective and are able to transform challenges into victories. Ms. Bachar presentation is engaging and entertaining, it moves her audience to tears, laughter, lively discussion and deep thinking. She’s been a mentor to thousands of professionals around the globe. Her stories about overcoming significant life challenges and becoming successful captivate her audience. Nomi is a master at assisting people in releasing limitations and constricting habits while empowering them to draw on their inner power. 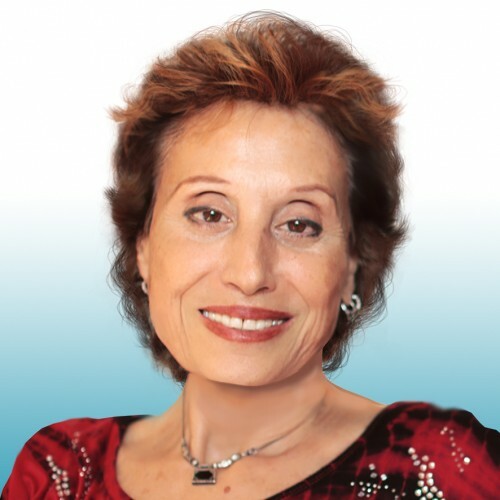 Nomi Bachar is the author of the Acclaimed International Best Selling book, “Gates of Power®: Actualize Your True Self”, a practical guide to creating the optimal self. Her second book, “Let the Heart Speak” was published in May 2018. Nomi has been globally interviewed on dozens of radio talk shows such as iTunes, CBS radio & Voice of America. She was a successful actress, producer and director of the Inner Landscapes stage productions in NYC. If You have tried therapy, coaching, transformational workshops, meditations or spiritual guidance and you are still feeling stuck, insecure, self doubting, not quite able to achieve your goals and feel unfulfilled... this book can help you find the answers. GATES OF POWER: Actualize Your True Self is an inspirational, informative, and practical guide for all who are passionate about living up to their potential and maximizing their life. The book is based on the Gates of Power® Method created by Nomi Bachar. What is Gates of Power®? Gates of Power Method and Program is a comprehensive and holistic self training system. It helps YOUR transformation and self development. It helps you to both: Release and Build Qualities within. RELEASE: Insecurities, Fears, Emotional Pain, and Limiting Beliefs and Behaviors BUILD: True Confidence, Focus, Authentic Expression, Vibrant Well Being in all seven areas of life These areas of life are called: Gates. Thus the name, Gates of Power®. THE SEVEN GATES OF POWER GATE OF BODY GATE OF EMOTION GATE OF DIALOGUE GATE OF CREATIVE EXPRESSION GATE OF LIFE PATH GATE OF SILENCE GATE OF KNOWLEDGE The Gates of Power® Method is a path for self-healing and self-actualization. The path is practical, creative, and deeply spiritual. The method empowers and energizes all seven facets [Gates] of our being and at the same time it unifies the three aspects of the self (Emotional Self, Defensive Self, Expanded Self) creating inner strength. In the book, Nomi Bachar offers wisdom gathered through her own spiritual and emotional journey, her life-long study of different spiritual traditions and her experience as a counselor and coach for the last 26 years. Gates of Power® Method is the ultimate guide for creating a vibrant, powerful and whole Self. The method is practiced through a comprehensive curriculum that includes seven levels of training. THE CHANGE explores powerful, thought-provoking insights from twenty inspiring co-authors. Prepare to be taken on a journey of self-discovery and personal change that will touch every area of your life! Having a variety of perspectives is the key to understanding ourselves and the greatness that resides within. This book will reawaken you and inspire you toward personal transformation! Find out more about Nomi Bachar at http://www.nomispeaks.com.